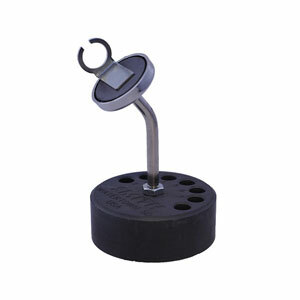 The Little Torch™ has unmatched flexibility in a handy self-contained lightweight unit that produces a perfectly controlled, clean and stable flame. Ideal for flame polishing acrylic when used with our high quality, specifically built, regulators designed for oxygen and hydrogen fuel at the low pressure setting required. 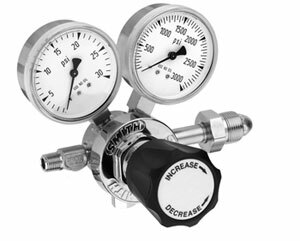 The 406 and 208 are single stage regulators with 15 PSI max delivery, 1 PSI increment gauge and ½ Lb. DK rise. 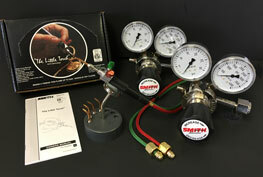 1 The Little Torch® with 5 tips, Tips 3,4,5,6,7 and 8’ duel hose. 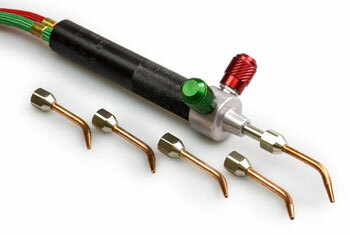 Torch Kit: Includes Torch, Size 3-7" curved tips, 8' hoses and complete instructions.